I love this towel!!! LOL I don't really like working with the Euro-flax yarn, but I love how it looks when it is washed, dried and ironed. 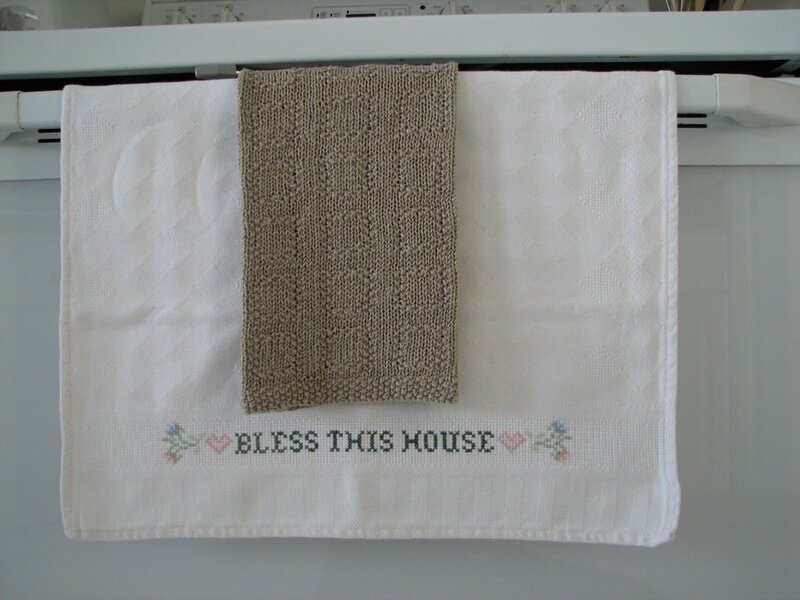 This towel looks so fresh and elegant. I can see several of these in my future, especially in either dark purple (eggplant) or dark green. Love it! I have been meaning to try one of those. I love the color you choose. Can't wait to see one done in eggplant. I have that color in my kitchen. I'm sorry, did you say you ironed your handtowel???? I can't even get around to ironing my clothes! It is beautiful. 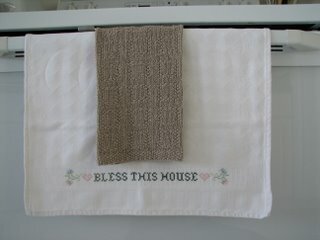 I am in the works of doing the same handtowel but in a cotton. Yours looks great.